As a Law of Attraction Life Coach, Tom’s magic is to help you master the joy of your own inner game of conscious creation. He will soothe, uplift and facilitate you in transforming fear, worry and anxiety into ease and well-being. Tom is trained in three unique forms of coaching: Law of Attraction, Conscious Loving/Conscious Living, and 4-Gateways Archetypal Coaching. 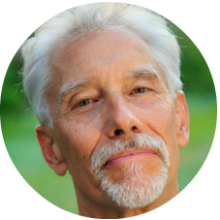 Tom has led a rich and charmed life and brings 45 years of daily meditation and personal growth work to the wisdom he shares. Tom offers a free one hour Conscious Creator Discovery Session for you to dive into discovering how your own inner resourcefulness can be unleashed. Sign up and learn more about Tom at You Are Joy.